When you think of the palm tree, you probably think of gentle palm fronds swaying in the wind over a beach in some tropical location. 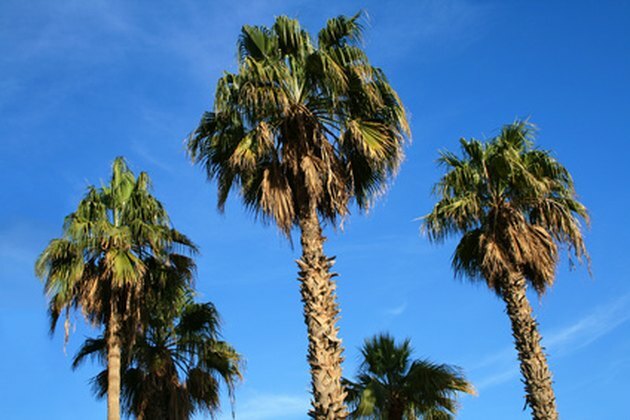 There are over 2,500 species of palm tree. 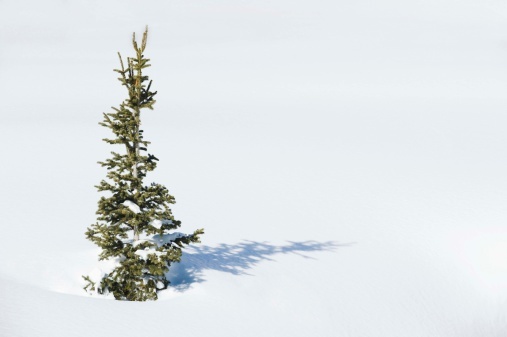 Some of these trees never grow taller than shrubs. Although most palm trees thrive in tropical climates, a few will grow well indoors in containers in cooler locations. Most palms have similar parts. Palm trees have distinctive parts. Palm stems are the tree trunks of very tall palm trees. These trunks are actually similar in structure to the central portion of a pine tree cone. As a palm tree loses its leaves at the bottom of the canopy and grows new ones from the top of the canopy, the trunk elongates. The portion of the stem located below the canopy is typically covered in round scars from where the leaves were attached, or by the remnants of leaf branches. Palm stems vary in thickness. Date palms have a very thick, tree-like stem. While the chamaedorea may only be as thick as a reed. Palm leaves give palm trees their descriptive name. These leaves are shaped like a hand, with a center structure, known as a stem or petole. Smaller leaf structures called fronds grow from this center stem. Palm fronds are evenly spaced around a stem. They may be attached to one another and deeply lobed or they may be individually attached to the central stem. A frond may be feathered or may be linear. Palm tree flowers are usually small and green or white. They are barely noticeable on a palm tree. The flowers are borne on a spike and are radially symmetrical in shape. Palm tree flowers are so small that they are often overlooked by observers. Palm trees may flower only once and die, or they may be produced yearly. Some palms produce both male and female flowers on the same tree, while others produce one type in one year and the next in the following year. Palm fruit varies from tree to tree. Date palms produce dates, while coconuts are also produced by palm trees. 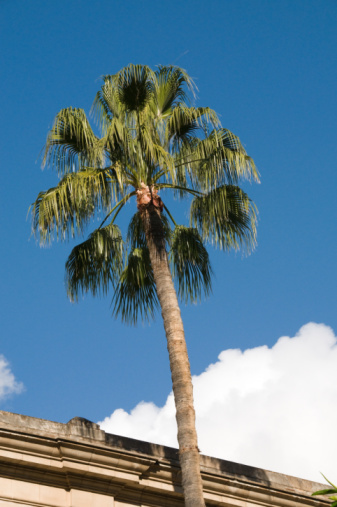 Palm tree seeds are typically consistent in size and shape with the type of fruit that the tree produces. 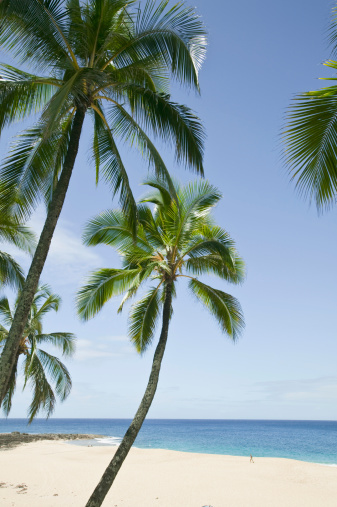 What Are Palm Tree Fronds?